The Kasabian boys have been a bit quiet recently, as they go about putting together the follow-up to their 2014 album ’48:13′. 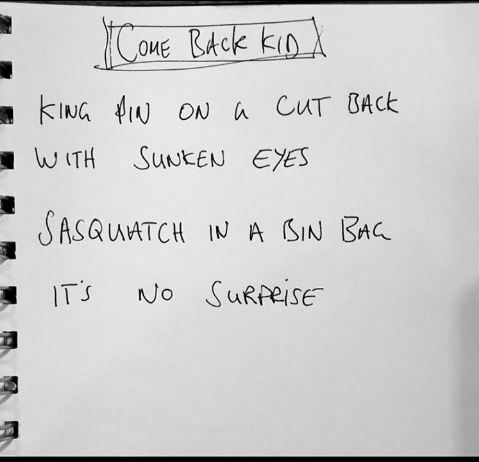 Now it appears they’re ready to break cover, with a brand new Kasabian song called ‘Comeback Kid’ being listed on the soundtrack for the new FIFA 17 game. Guitarist Serge Pizzorno has been on producing duty again for the new album, after taking full control of the recording of ’48:13′, and has recently revealed some of the new song titles – You’re In Love With A Psycho’, ‘24/7’, ‘All Through The Night’ and ‘Good Fight’. These follow the debut of the new track ‘Put Your Life On It’ at Kasabian’s triumphant round of gigs at Leicester’s King Power Stadium earlier this year. Joining Kasabian on the FIFA 17 tracklist are the likes of Beck, Catfish & The Bottlemen, Jagwar Ma and Spring King.